Hamilton, Burlington Projector Rentals. Serving Hamilton, Burlington and surrounding areas. What’s included when I rent a projector? Our $50 3-day rental package includes a projector as well as a 6ft x 6ft portable screen. Screens are freestanding and are about 8ft tall when setup. Speakers and a DVD player can be included at no extra charge. Larger 10ft x 10ft screen available for $10 extra. We rent projectors that are universally compatible with virtually all computer brands using either Windows or Apple (Mac) operating systems. Basic cables are always included with your projector rental (VGA computer cable, RCA video). Converters for Mac or PC are also included. Our projectors can also be connected to VHS, DVD and Blu-Ray players. We appreciate your feedback. 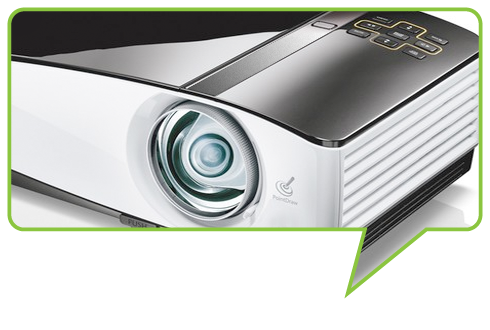 Let us know if you've found a lower price on a projector rental in the Hamilton/Burlington area. We'll reward you with instant savings! Suggested Uses: Family movie night (indoor or outdoor), wedding slideshow, business presentation, memorial slideshow etc. Your Company Name Here All rights reserved © 2019.